Should you file for bankruptcy, often none of your student loans will be discharged due to a 2005 change in the law that gave private student loans the same protection as federal student loans, which had been exempt from discharge since 1978. The word “protection,” in this case, means student loan debts will often survive bankruptcy proceedings where other types of debt will not, and you will be required to continue to repay them. In those cases, any relief you receive from bankruptcy will be limited to clearing other debts, thus permitting you to devote what resources you have to your student loans. If monthly payments on your debts consistently exceed your income, you are forced into default due to inability to pay, and bankruptcy becomes an option at that point. There are arguments for and against choosing bankruptcy, and you should consider both sides of the question carefully before making a decision. If you are already in a position of continual, or very frequent, default, that damages your credit almost as much as bankruptcy, which lenders view as the most serious sign of credit impairment. If you can work out a bankruptcy plan that will leave you with an affordable financial commitment, then even though the grave blemish of bankruptcy can remain on your credit history for ten years, it is still the most certain way to repair your credit in the foreseeable future. Bankruptcy is the most damaging event your credit can sustain, and as noted above remains known to potential lenders for ten years. If you’re a college student in your twenties filing for bankruptcy, that means that well into your thirties you’ll have difficulty obtaining feasible loan terms for purchases like a house or even a car, although you may need transportation in order to work or want a house to start a family. If there’s any hope of financial survival short of bankruptcy, try to hang on until your situation improves. As you can see, making this decision depends entirely on your circumstances, especially on a realistic assessment of your financial prospects. Will you make more money in the next few years, or will your current income level and student loan payment remain the same over time? If you go ahead with a personal bankruptcy filing, your first step will be to consult a bankruptcy attorney and decide which type of filing to initiate. Most personal bankruptcies are filed under Chapter 7 (most, perhaps all, of your debt will be discharged) or Chapter 13 (in which the court sets a repayment plan that your creditors must accept and you must follow). Whichever type of bankruptcy you choose, you should make an effort to prove you’d undergo what is called undue hardship if you were forced to repay your student loans. The hardship in question is, of course, financial. Successfully proving that contention is the only way under current law to convince the court to rid you of your student loan obligations, and while different courts set different bars for proving undue hardship there are general guidelines that apply in every state. Your student loans will not automatically be considered for discharge, but you will need to file a special petition in your case in order to bring that about. When you have raised that issue, then the court’s review of your personal financial circumstances will require you to pass the following tests to satisfy the requirements for undue hardship. The Minimal Standard of Living test: The court will want to see that at your current level of earning, you and your family cannot sustain what is called a “minimal” standard of living (including only the basics like food, housing, and clothing) while also repaying your student loans. Many people can prove the case that far. The Duration test: You will need to demonstrate that your hardship is not temporary in nature but can be expected to last throughout the lifetime of the loan repayment period, which can be quite lengthy (ten to twenty-five years, in some cases). The Good Faith Attempt test: You will need to show the court you have made every reasonable effort to better your circumstances so that you could continue to repay, but your strategy has failed. There are certain steps an attorney may recommend here: have you tried obtaining an additional degree or certificate to broaden your marketability or increase your earnings? Have you taken the trouble to consolidate your loans to achieve the lowest possible monthly payment? As you can see, the court has a great deal of leeway in deciding what happens to your student loan debt during bankruptcy. 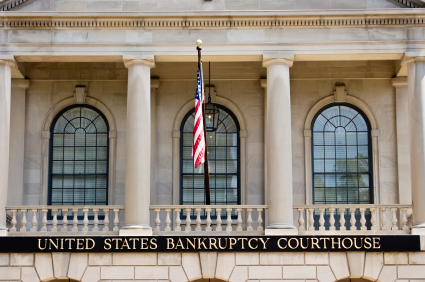 Bankruptcy cases are always tried in federal court, and your attorney can give you a good idea of how courts in your district have ruled in the past. While there is no realistic way to predict your chances of discharging student loan debt via bankruptcy without a detailed assessment of your finances, one 2011 study found that your chances may be better than you might think. Forty percent of the debtors studied were granted student loan relief, and the three characteristics that affected those discharges were unemployment, low annual income, and medical problems. So the forty percent finding was drawn from a group that was in very straitened circumstances, which helps explain their success, but it does bolster the point that discharging student loan debt is by no means impossible. Help in discharging at least private student loans may be on the way for desperate debtors, because as of January 2013 the Senate introduced legislation (the Fairness for Struggling Students Act) to remove the bankruptcy shield for those private loans, which would bring some relief to many students who are having trouble getting on their feet financially. At the very least, that means there is some political will to address the widespread repayment problem, which is the first step in finding a solution.